Cruise vacation from Coca-Cola and Cinemark! What could be more magical than a Disney Cruise vacation? Winning a Disney cruise line vacation! 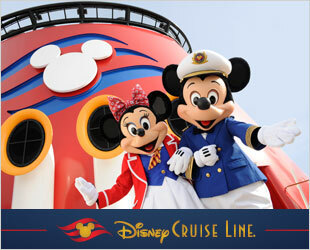 Coca-Cola and Cinemark want to send you on a 4-night vacation for 4 aboard the Disney Dream cruise ship to the Bahamas! The Disney Dream is one of the 2 new ships on the Disney cruise line. It was the very first ship in the world to feature the AquaDuck – the first water coaster at sea. Enjoy dining at magically themed restaurants. You will love Castaway Cay. Disney’s very own private island paradise! The competition ends on June 28th at midnight ET – so get your entry in now! This would be a DREAM come true. My fiancee and I have been wanting to go on a Disney Cruise for 6 years and just are not financially able to make it. I would LOVE to surprise him.